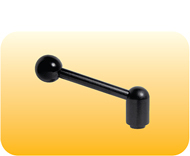 Blackened steel handle with zinc plated or stainless steel threads. Threaded screw. Available in English and Metric measurements. 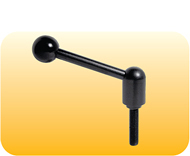 Blackened steel handle with zinc plated or stainless steel inserts. Available in English and Metric measurements. 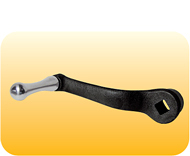 Super-strong cranking handle, fully polished gripping handle with square fixing hole.